TEHRAN (Fars News Agency)- Iran may allow international companies to build and run an $8bn gas export pipeline in an effort to boost sales to Europe, a top government official said. The pipeline is set to connect Iran's South Pars gas field with Turkey and European customers, National Iranian Gas Company Managing Director Seyyed Reza Kasaeizadeh told Dow Jones Newswires. Four companies, two from Iran and one each from Europe and Asia, are bidding for the contract to build the 1,800km pipeline by 2014 under a Build-Own-Operate deal, Kasaeizadeh said. A Build-Own-Operate contract gives rights to develop, finance, design, build, own, operate and maintain the project. "Two Iranian contractors are ready to do it as a Build-Own-Operate deal and two foreign companies. This is new, for a foreign company to do a Build-Own-Operate contract for gas pipelines," Kasaeizadeh said in his last interview as head of NIGC before taking up the top post at National Iranian Gas Export Company (NIGEC). The contract will be awarded to one Iranian company and one foreign company or the two Iranian bidders may form a consortium with one of the international firms, he added, speaking at the NIGC headquarters in Tehran. Iran is moving ahead with the plan to export some of its vast gas resources to Europe via pipeline. The new, Iranian Gas Trunkline 9, or IGAT-9, would be part of the planned 'Persian pipeline' project that aims to transport gas from South Pars to the city of Bazargan at the border with Turkey and on to Italy, Austria and Switzerland, according to Kasaeizadeh. 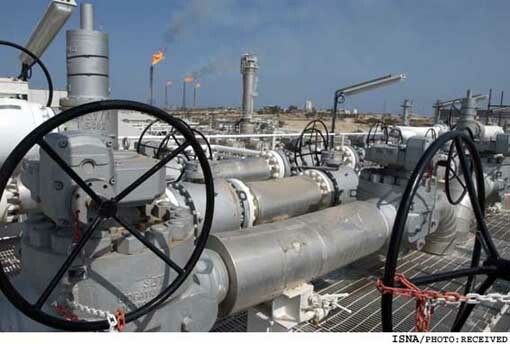 The South Pars field, which has an estimated 436tn cu ft in gas reserves, is located offshore Assaluyeh, a port town in Iran's southern Bushehr province, in the Persian Gulf. Alternatively, Iran may pump the gas to Europe via the 3,300km Nabucco pipeline, which aims to pipe 31bn cu m a year of gas from the Caspian region, the Middle East and Egypt to Europe through Turkey, Bulgaria, Hungary, Romania and Austria. Talks about Iran's participation in the scheme are still ongoing. But potential Iranian involvement in Nabucco and alternative plans for gas exports to Europe are facing stiff resistance from the US, which is seeking to curb international business with Tehran. Iran, which sits on the world's second largest reserves of both oil and gas, is facing US sanctions over its civilian nuclear program. Yet, after oil giants in the West witnessed that their absence in big deals has provided Chinese, Indian and Russian companies with excellent opportunities to signing up to an increasing number of energy projects and earn billions of dollars, many western firms are slowly losing reluctance to invest or expand work in Iran. Iran is seeking the participation of foreign firms in its IGAT-9 scheme in a bid to secure partial funding for the project due to its exorbitant cost, Kasaeizadeh said. "The reason we want help from them is more to obtain financing. For this pipeline, we have 17 compressor stations. Each compressor station has around 4 turbo compressors. The cost of each station is around $100mln," he said. The cost of the pipeline is also driven up by the difficult territory it's crossing, notably mountainous areas, Kasaeizadeh added. The Iranian companies that will be involved in building the pipeline will be able to tap the country's Foreign Currency Reserve Fund, Iran's version of an oil stabilization fund, for funding, he said. The fund "does not give loans to the Iranian government but they give loans to the private sector. It means that the Iranian private sector can get loans and build the lines," Kasaeizadeh said. Kasaeizadeh said sanctions won't hinder Iran's plans. "Sanctions have not had any effect on our work. It is possible that it affects work in other places, but it has not had any effect on our work." NIGC has already secured access to raw materials required to build its pipelines, having signed import contracts before a set of stricter sanctions was imposed on the country, he said. "We have a long-term contract with European companies. Because our contract was already signed and just now we are working on it together, we have had no problem because it was before the sanctions," Kasaeizadeh said. "We manufacture the pipeline in Iran. We only have to bring the raw materials from outside. Large pipes are carbon steel for which we get the raw materials from abroad," he added. NIGC also has contracts with European companies for the supply of turbines and compressors, needed to pump the gas over long distances through the pipeline. "One contract we have got is with Siemens. Another contract is with Ukrainian companies such as Zorya Mashproekt and Sumy Frunze NPO," he said. Some European countries have also recently voiced interest in investment in Iran's energy sector after a gas deal was signed between Iran and Switzerland regardless of US sanctions. The National Iranian Gas Export Company and Switzerland's Elektrizitaetsgesellschaft Laufenburg signed a 25-year deal in March for the delivery of 5.5 billion cubic meters of gas per year. The biggest recent deal, worth �100m ($147m, �80m), was signed by Steiner Prematechnik Gastec, the German engineering company, this month to build equipment for three gas conversion plants in Iran. This is at a time when France's Total, Royal/Dutch Shell and Norway's Statoil have put on hold their shares in multi-billion dollar contracts. Despite the rules enshrined in the Non-Proliferation Treaty (NPT) entitling every member state, including Iran, to the right of uranium enrichment, Tehran is now under three rounds of UN Security Council sanctions for turning down West's illegitimate calls to give up its right of uranium enrichment.